With today’s deal, print a FREE coupon and take it to Sweet Dreams in Orchard Lake and treat yourself to a free 3" Mini Torte! These delicious tortes are Kosher & Parve certified by Rabbi Jason Miller (Kosher Michigan) and are available in a variety of flavors such as Chocolate Raspberry, Vanilla Raspberry, Lemon, Black Forest, Dynasty (yellow and chocolate), and Strawberry. At Sweet Dreams, they take pride in creating one-of-a-kind cakes and desserts for all of of your special occasions. Now carrying Nestle products— including coffee, chocolate, and more—Sweet Dreams is ready to make all your sweetest dreams come true! Come visit the place voted “Best Pastry Shop” by the Detroit Free Press and pick up your FREE treat today! - Limit 1 voucher per customer. - Voucher is valid for a FREE 3 inch mini torte only. 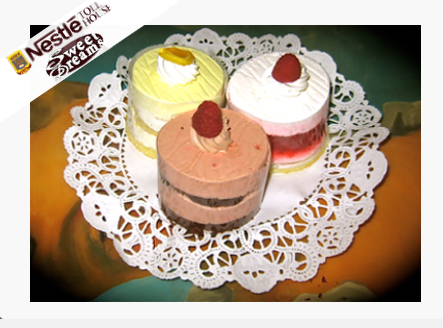 Click here to get your coupon and enjoy your complimentary Kosher 3" Mini Torte!